This spring, Eureka unveiled the powerful new AirSpeed ALL FLOORS vacuum. To bring its POWER message to fans on social media in a meaningful way, we created a contest supporting the powerful organizations across the country that touch our fans’ lives. From March 18 to May 6, we held the Eureka “Power of Change” contest on Facebook and asked fans to tell us about the charities that have made a powerful impact on their lives or communities. From those entries we chose 10 finalists, and fans voted to choose the most powerful entry. After nearly 7,000 entries, more than 1,900 votes and 3,000 new fans, we named Alicia P. and the Alzheimer’s Association as our grand prize winner! 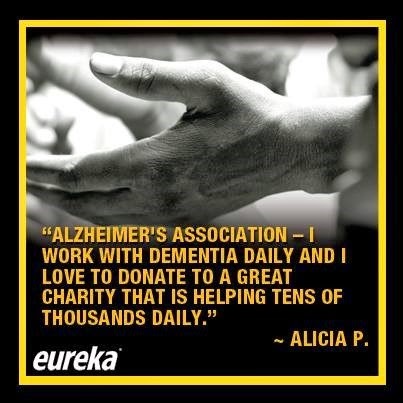 Alicia and the Alzheimer’s Association each received $2,000 – take a look at the winning entry above. Congratulations to Alicia and the Eureka team for creating a powerful contest that increased both Eureka’s fan base and positive brand perception on Facebook!